Stephy Tang and Alex Fong Lik Sun have been together for five years, but Siu Fong says that marriage will have to wait five more! The film ANNIVERSARY (GEI LIM YUT) two nights ago held its premiere in Tsim Sha Tsui. Actors Alex Fong Lik Sun and girlfriend Stephy Tang Lai Yun, Rachel Lee Lai Chun, David Siu Chung Hung, Shek Sau, Louis Cheung Kai Chung and director Patrick Kong (Yip Lim Sum) attended. Due to the Winter Solstice, everyone had a bowl of tang yuan for the occasion. Stephy said that she went all out for her appearance. Siu Fong said that they were busy with the film's Mainland promotion, as they just returned to Hong Kong early morning two days ago. They did not celebrate the Winter Solstice and he said that the celebration for film was also for the holiday for him. Stephy already celebrated early with her family. With films like STAR WARS THE FORCE AWAKENS and IP MAN 3 in cinemas now, did Siu Fong have any box office pressure? He said, "No, but I hope for good box office. I believe it will be because this series has already reached its fourth film, it has already accumulated certain amount of viewers. The Mainland reaction was also decent. (Strong competition?) I wish everyone well. We don't have to beat them, just reaching the goal would be enough. We are also the only romance in this period, so I hope the box office will pass HK$ 10 million!" He also said that it was already the final time for this series. Because the story already reached years after their marriage, any further topic would be very hard to come up with. Even if they work together again they would not make a city comedy. He joked that they might make movies like GHOST or TEMPTATION OF A MONK! As for the production turning into a real fight with his girlfriend, Siu Fong said that they already have an understanding. They said beforehand they definitely would fight for the "foundation". Stephy also said, "I expected the worst so it wouldn't be so bad." Siu Chung Hung and Sister Chun played Stephy's parents in the film as they "continued their relationship" from their TVB series GREED OF MAN (DAI SI DOI). Sister Chun said that Siu Chung Hung changed a lot. "He used to be very quiet, he would hide in the corner to think. At the time aside from acting I haven't said a word to him, but now he is very talkative." Siu Chung Hung explained, "Her acting surprised me back then, so I had to do my homework. This time I appreciated her, working with her was a pleasure." He also said that Sister Chun back then was very easy going, now she is very efficient. Two nights ago he went to pick her up, when his car arrived she already raced downstairs. 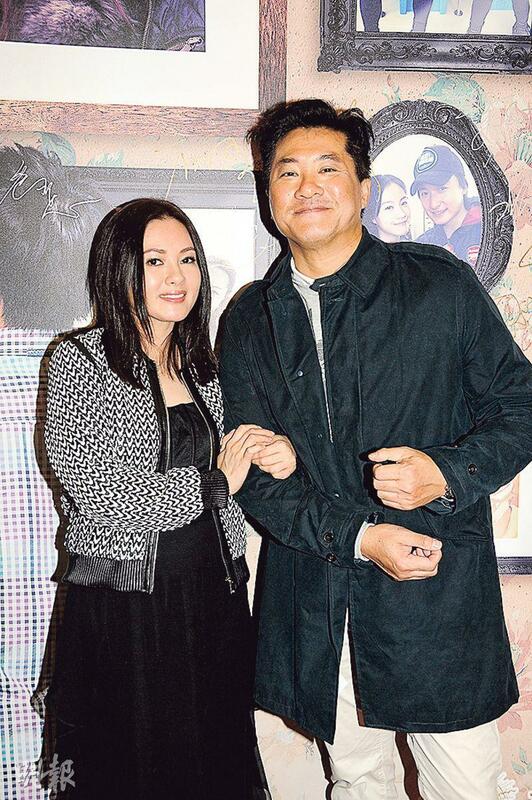 sister Chun said that Siu Chung Hun was happy after having two sons so he became talkative. Siu Chung Hung admitted that he was happy and wanted to have a few more. He told Sister Chun to consider having more. Sister Chun immediately laughed and shook her head. She revealed that her daughter has already returned to Hong Kong for Christmas. Before the premiere she even had a quick Winter Solstice dinner with her daughter and her classmate. Sun Entertainment Culture executive Paco Wong also attended two nights ago and was full of confidence in this film. 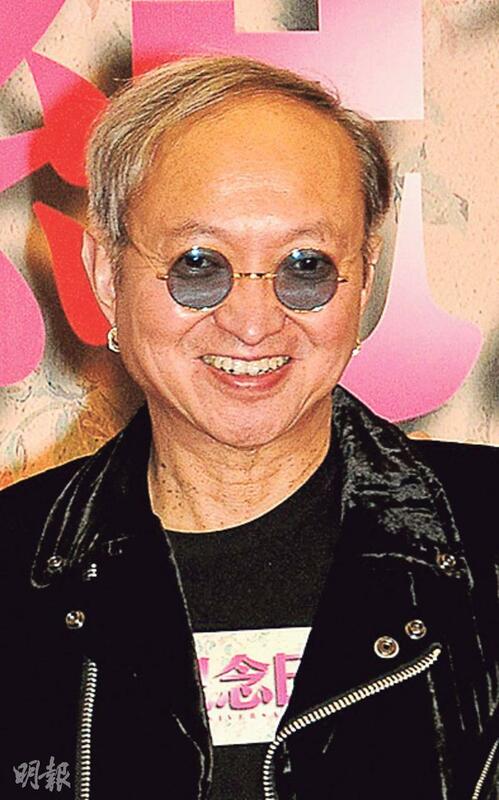 Reportedly boss Alvin Chau Cheok Wa was headed to divorce. Paco was asked if his boss went to Japan. He immediately shook his head and said, "I don't know how to respond."